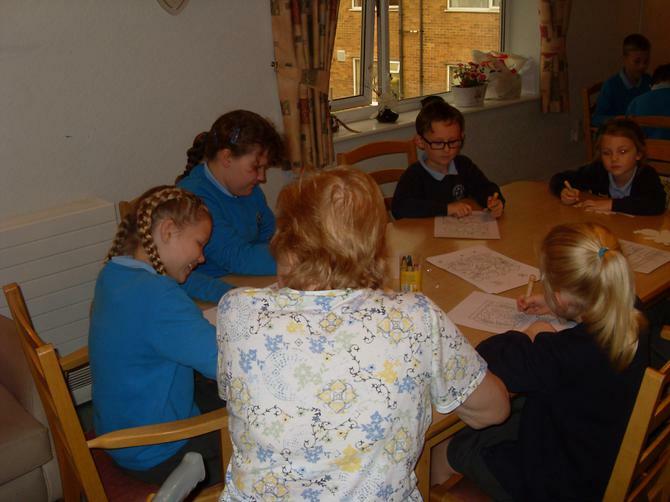 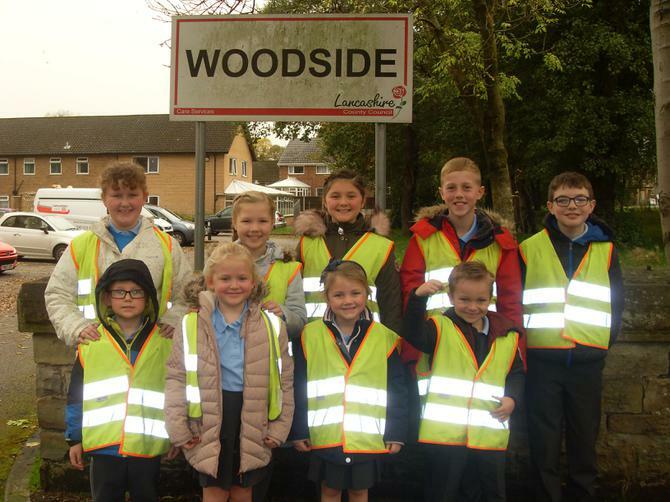 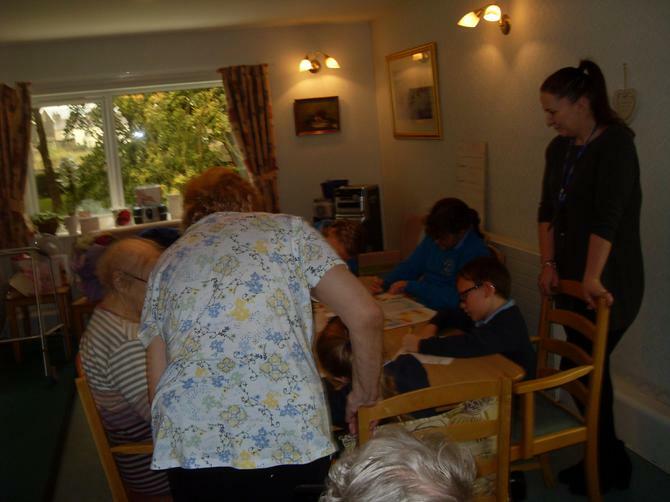 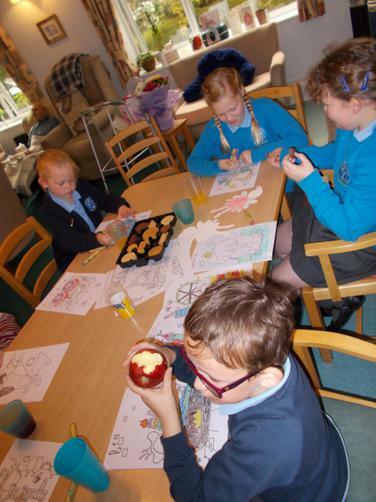 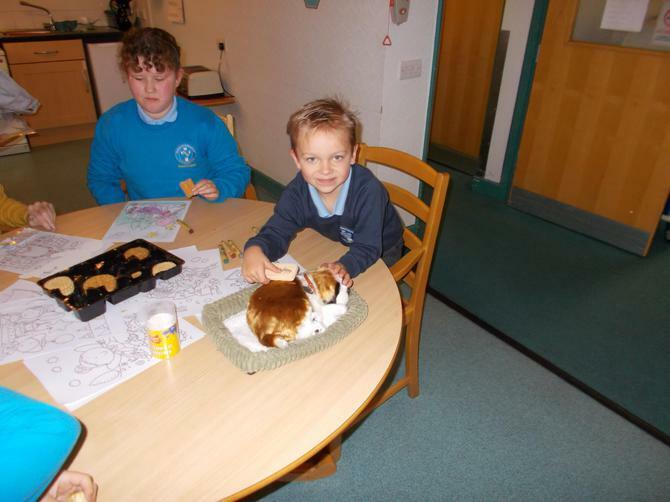 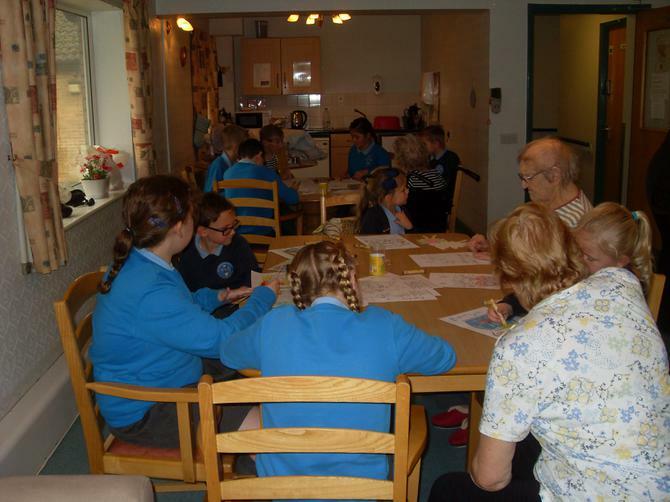 Our Year 6 School Chaplains and School Counciillors from Year 1 and Year 2 visited Woodside Home in Padiham. 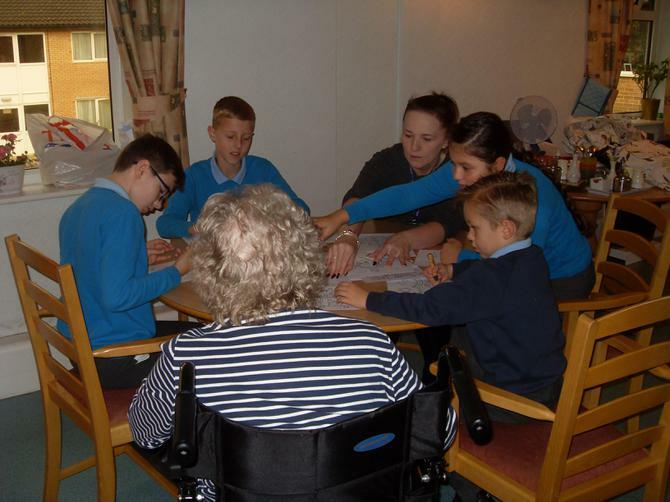 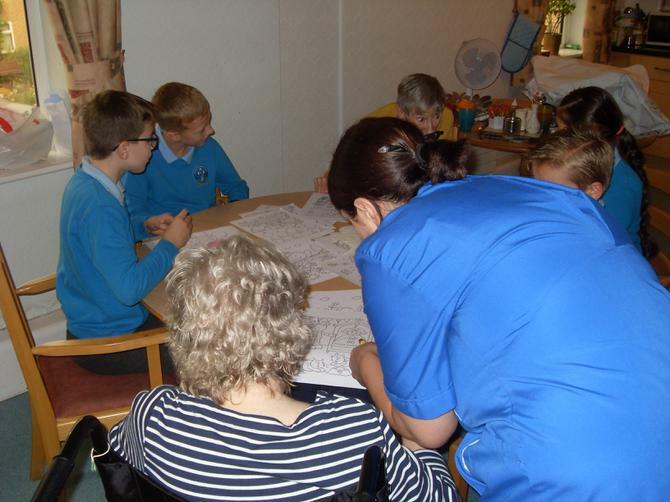 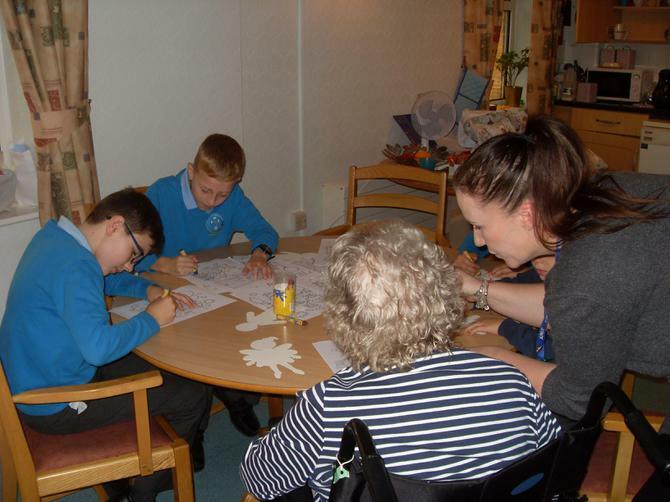 Mrs Carlile spoke to the staff on the phone and organised a visit for some of our children to go and meet some of the residents there. 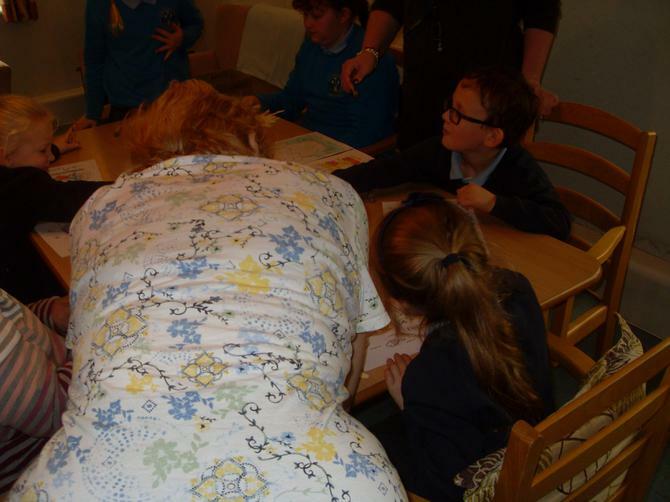 Miss McBreen and Mrs Taylor went to Woodside with the children. 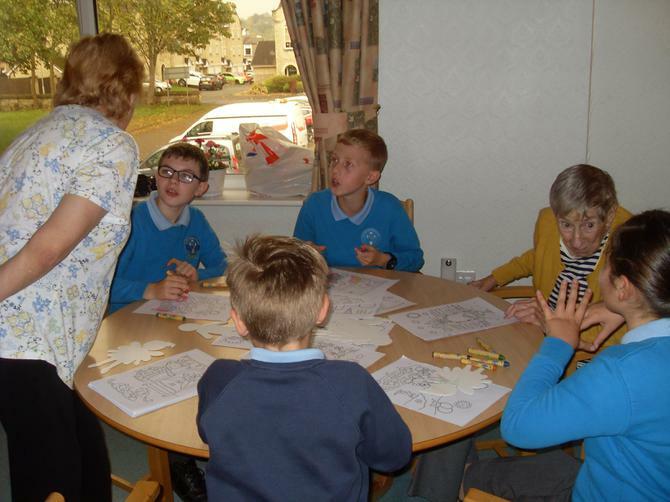 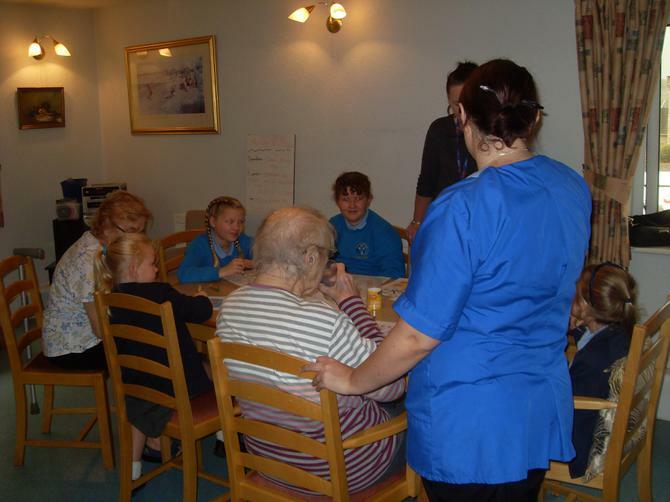 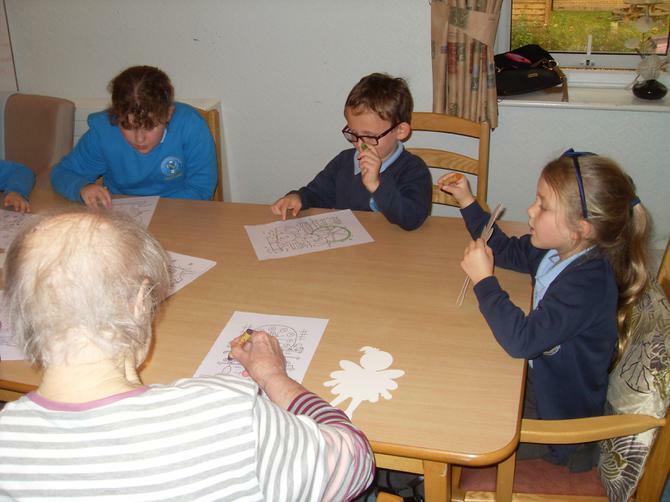 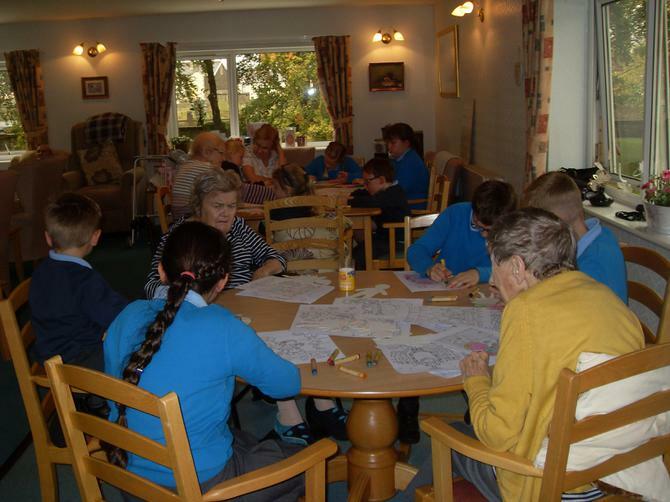 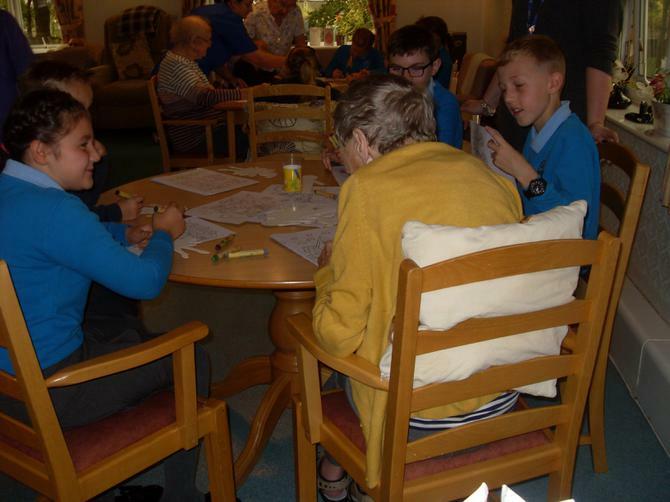 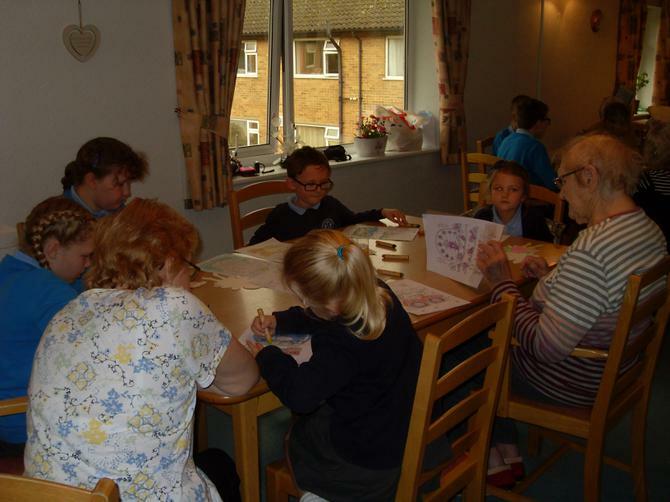 They all had a fantastic time and everyone enjoyed doing some colouring and our Year 6 children entertained the residents with their dancing. 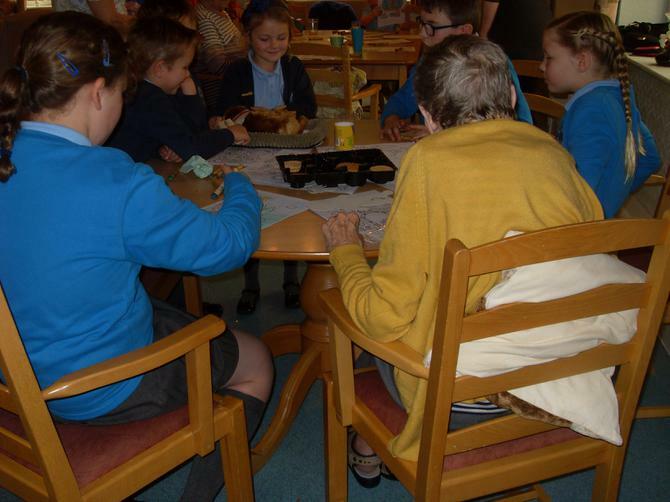 They have been learning about WW2 and have been learning the Lindy Hop. 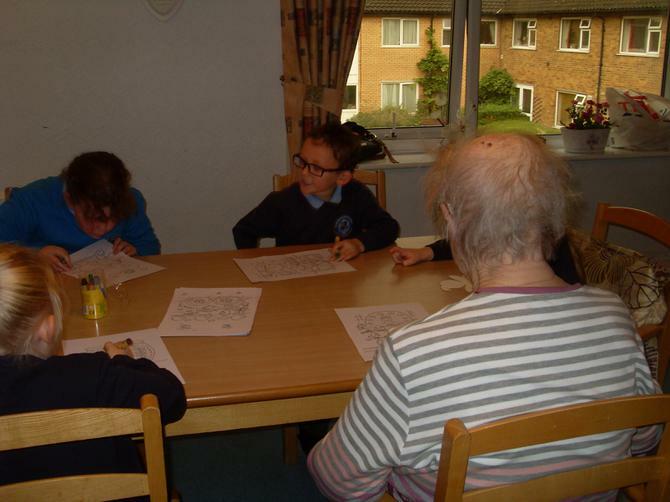 The residents loved this! 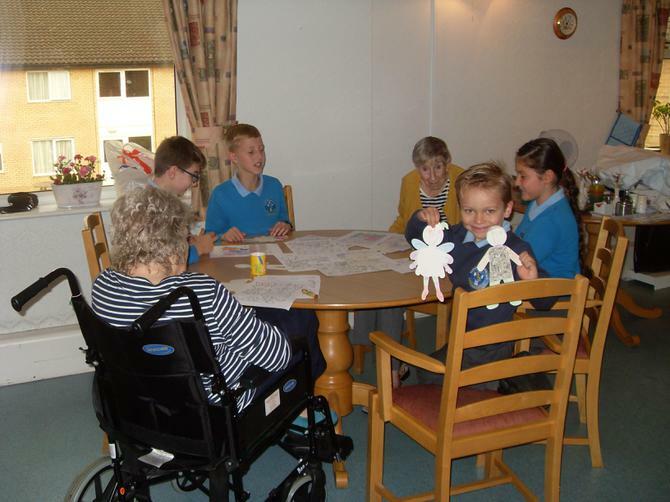 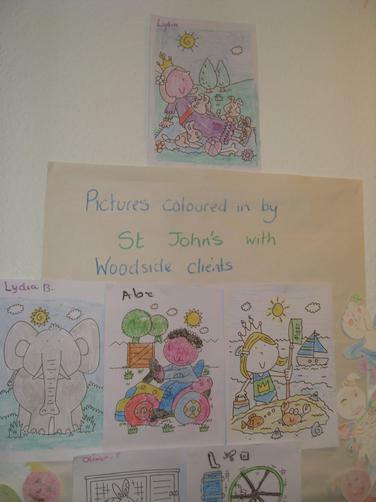 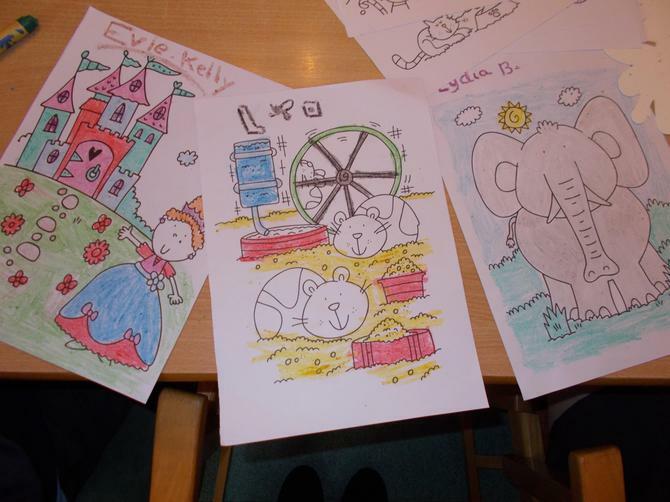 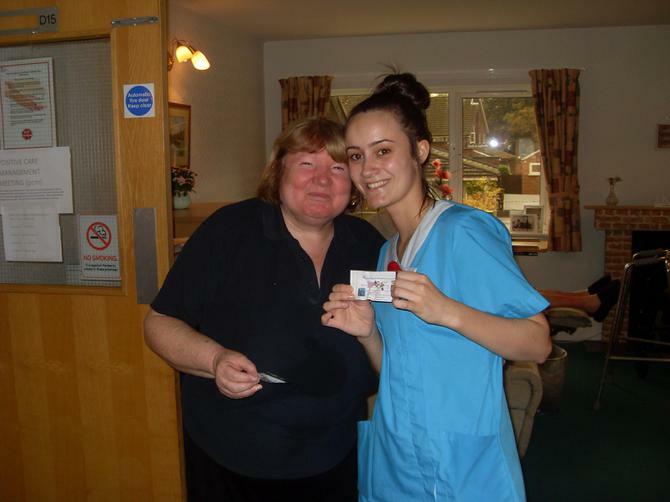 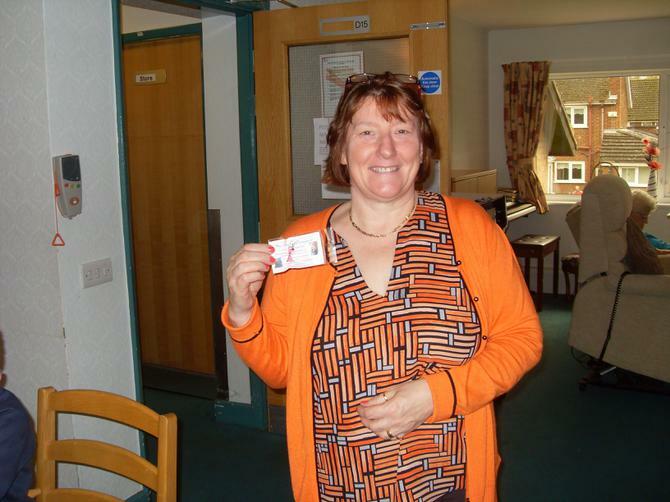 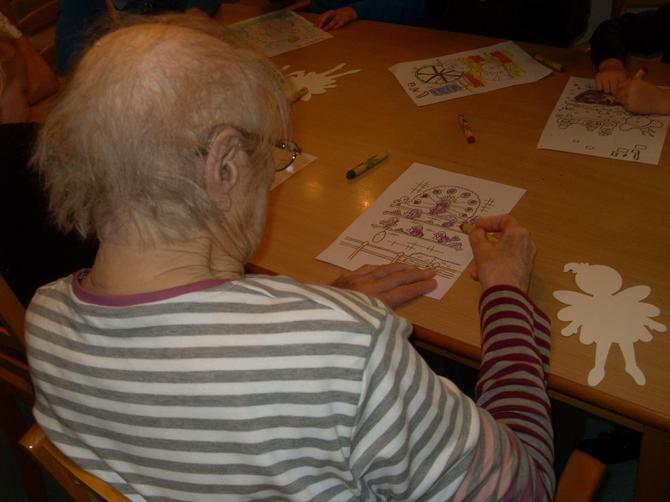 We also gave some of the staff and residents some of our Jet Set Angels for them to keep. 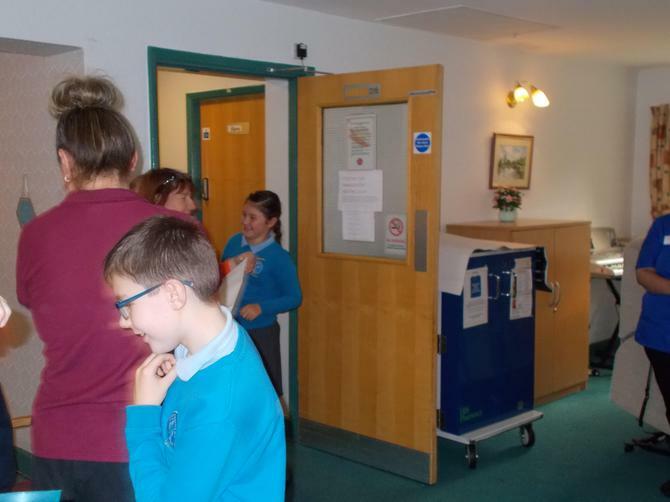 All our children were polite and were a credit to the school. 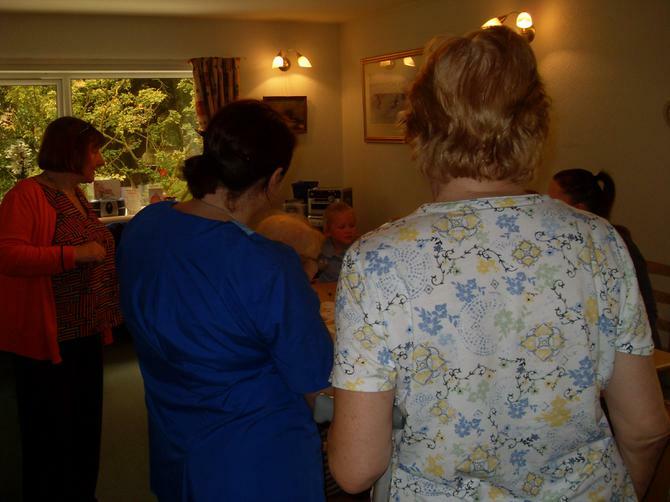 We can't wait to go and visit again soon.